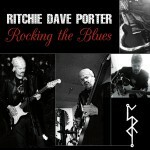 Share the post "Album review: RITCHIE DAVE PORTER – Rocking The Blues"
Ritchie Dave Porter is a blues-rock guitarist from Birmingham who tells us on his liner notes that: ‘Rocking the Blues’ is the expression of my soul through the guitar’, and also that: ‘Every note is played with emotion’. This entry was posted in ALBUM REVIEWS, ALBUM REVIEWS (Mobile), All Posts and tagged acoustic, album, blues, guitar, Michael Tingle, review, Ritchie Dave Porter, rock, Rocking the Blues. Bookmark the permalink.